WEST GLACIER, MT. – One skier was caught in an avalanche in Glacier National Park on the afternoon of January 5. He and a companion were skiing on the south face of Mt. Stanton, and were approximately 500 feet from the summit. A third skiing companion had previously gone back to the trailhead. The park received a 911 call from the companion skier at approximately 3:15 pm. He was able to place a call from his cell phone. The individual stated that his skiing partner had been caught in an avalanche, and that he was not buried but was severely injured. The reporting party confirmed that he had been able to locate his companion, warm him, and continued to provide comfort and care until medical help arrived. The park, in partnership with the Flathead County Sheriff and Alert, launched a rescue mission. Park rangers responded with a ground rescue mission while an air rescue mission was initiated using Flathead County aviation asset Two Bear Air. Two Bear Air responded to the injured party’s location shortly after 4 pm. The injured skier was in critical condition when Two Bear Air arrived, and was determined deceased during rescue efforts. The victim has been identified as 36-year- old Benjamin Parsons of Kalispell, MT. The park will work with the Flathead Avalanche Center to learn more about the sequence of events and other circumstances that may have contributed to this incident. The investigation is ongoing. 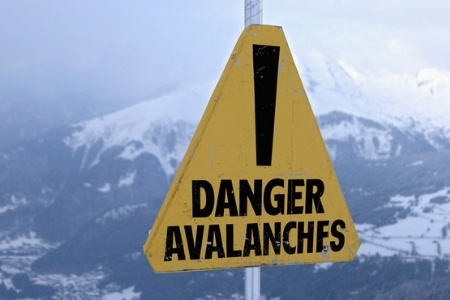 This is the ninth recorded avalanche fatality since the park was established in 1910.